If you are unsure what type of emergency lighting you require then contact Baldwin & Bleakley Electrical Services and we will be pleased to advise you. We can design, supply, test and install to meet the requirements of BS 5266-1:2016. We offer a full range of emergency lighting luminaries, including bulkheads, recessed lighting and decorative emergency luminaires. 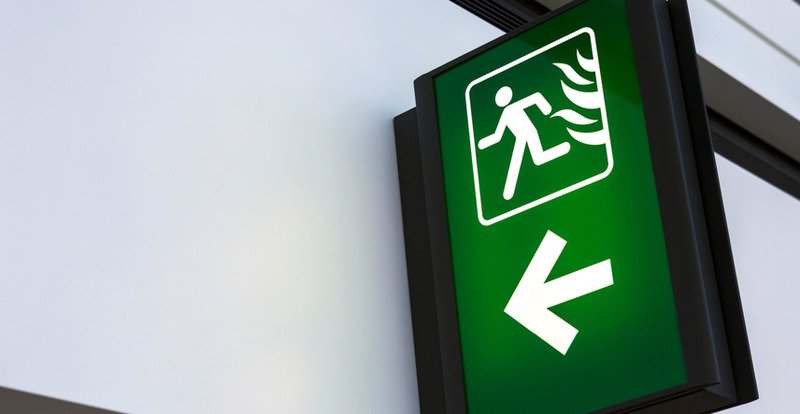 We also deal in all aspects of illuminated fire exit sign blades and fire exit sign boxes, including wall mounted signs, hanging signs and recessed signs for suspended ceilings. Energy saving emergency lighting products, using the latest LED technology to maximise efficiency is also available through Baldwin & Bleakley Electrical Services. We can carry out a full inspection of your exisiting emergency lighting system and if required, provide an ongoing routine testing programme .